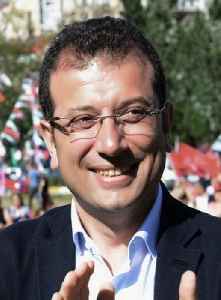 Ekrem İmamoğlu is a Turkish politician and current Mayor of Istanbul. He was elected in the 2019 Istanbul mayoral election as the candidate of the CHP, the country's largest opposition party. Following his come-from-behind victory in which the ruling AKP significantly outspent him and controlled media coverage, İmamoğlu was called a rising star in Turkish politics and a potential candidate to challenge Recep Tayyip Erdoğan in the 2023 Turkish presidential elections. İmamoğlu had previously served as Mayor of Beylikdüzü, a western district of İstanbul, between 2014 and 2019.